Browse animal-cattle-feed suppliers by country and region. Flax Seeds Flax (also known as common flax or linseed) is a food and fiber crop that is grown in cooler regions of the world. Flax fibers are taken from the stem of the plant and are two to three times as strong as those of cotton. 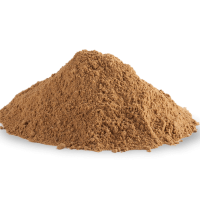 Alliance Zone will ship flax seed in 25kg, 50kg, and large containers as needed by you the customer. Short on time? Let animal-cattle-feed sellers contact you. Millet spray with red and yellow color from supplier in Vietnam. Our product have high quality and competitive price. 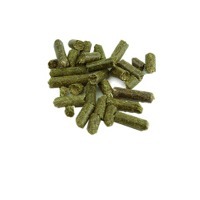 This is very best product for bird food. ECO-Friendly - Fun, Functional and Earth Friendly. grass Straws are completely biodegradable and without pollution. Made of organic and natural materials they are the best choice to substitute plastic, steel or glass straws. grass drinking straws are a fun and eco-friendly alternative to plastic that can be used with any beverage. 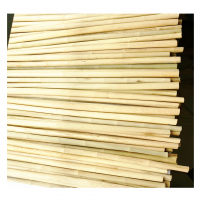 The straws are made from real whole bamboo stalks nothing re-compressed or processed. They are washable and reusable. 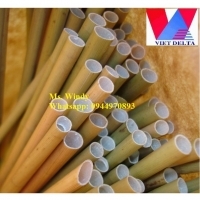 A purchase of grass straws is a vote for sustainable materials. The straws come packaged in a bag that is made from plants that is compostable in commercial facilities, with a tag made from paper. 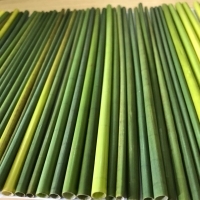 Product: Green grass straws - Length of straw: 18-20 cm (or depending on the customer, not exceeding 22 cm). - Size: inner diameter 4 - 6.5 mm - Thickness: 0.5 - 0.8 mm - End of straws is cut with a sharp knife. - Straw interior: the inner velvet surface is clean. - Material: grass, naturally grown grass (1-2 years old). Horn and hoof meal is a great source of nitrogen with having a small amount of phosphorus. Cooked ground dehydrated cattle hooves and horns are used to make this hoof and horn meal which is almost equivalent to blood meal in nitrogen content.The production plant at amt international is completely mechanized and is one of the most sophisticated plants in the pakistan. The aim to produce quality horn and hoof meal for export purposes. Amt international is proud to state that so far, 100% of its products is being exported. We use healthy animal bones from approved slaughterhouses to produce high quality products and provide on time delivery to our customers. We conduct our business responsibly to achieve goodwill with a long-term growth by fulfilling our commitments with our buyers and to the environment. We are a sign of quality in this line of business by satisfying our customer needs. Cattle fodder: The rhodes grass, mostly called chloris gayana across the world is one of the multiple species of grass, rhode grass is a kind of wild grass grown in tropical areas. 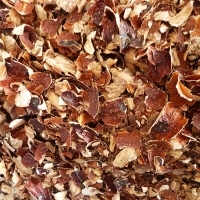 It is also cultivated in agricultural countries, especially for animal feed. Rhode grass is commonly used as fodder for farm cattle and horses etc. It contains sufficient proteins, fats and carbohydrates that are essential intakes for milk giving animals.We have our own farms of quality rhode grass with best high end equipment and machinery. 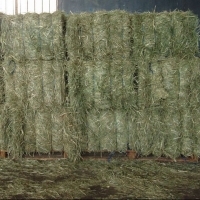 The silage is very important feed in the time of scarcity such as in the dry season. Its a good source of nutrients used as a replacement of green fodder. It is very economical for the farmer to use it by purchasing the readymade silage otherwise it will take a lot of time, labor and cost for cultivation of the crop till the formulation and use. We make high quality silage from our own grown corn crop & from our growers. We would like to offer 100% Corn silage to you as per standard. We have well repute in domestic market as well as foreign market. 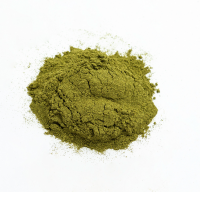 With a strong focus on compliance, we have been delivering the highest quality Organic Wheatgrass Powder consistently worldwide. Along with being USDA certified Organic, we have a host of other international certifications, and meet stringent global manufacturing standards. 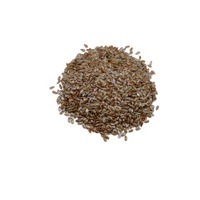 Canary seed is one of the top birdseeds in the globe. 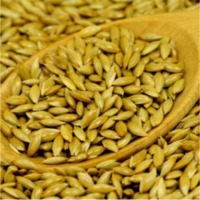 Canary seed has a appearance of small amount of blonde color. Canada is the worlds biggest exporter and producer of canary seed with bulk of it grown in Saskatchewan. 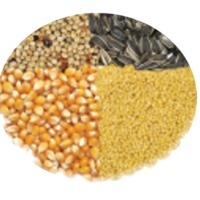 When used in feed, its generally mixed with other seeds such as buckwheat, sunflower, millet, and flax to meet certain nutritions of specific birds. 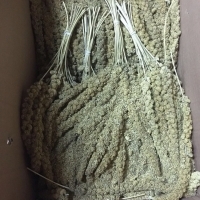 Falvon can supply prime Canary Seed in bulk or bagged in polypropylene bags. We are exporters of seeds that are generally mixed with canary seeds such as Flax and Sunflower Seeds.